The ongoing political conflict in Venezuela, which last week left the country with two men claiming to be the legitimate president, could cause a modest increase in the price of gasoline in the parts of the U.S. that still import oil from Venezuela, officials said Monday. 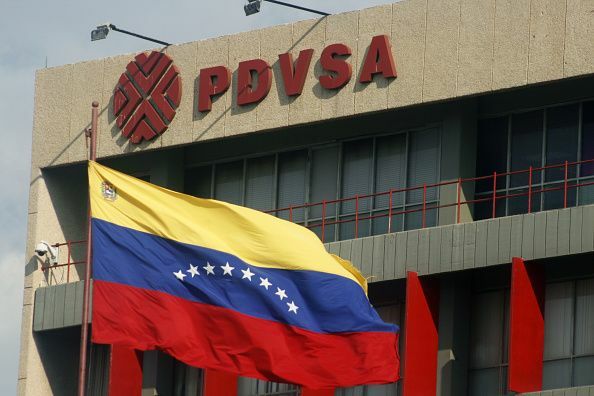 The U.S. sanctioned the Venezuelan state-owned oil and gas company PDVSA, which is Venezuela’s biggest source of revenue. Treasure Secretary Steven Mnuchin announced Monday that the company could avoid U.S. sanctions by recognizing the interim presidency of Juan Guaido, the former National Assembly leader who announced that he would take over executive powers until a new election could be held. The U.S. has denounced the presidency of Nicolas Maduro and said recent elections held in Venezuela were illegitimate. Officials said Monday that the sanctions would have a minimal impact on U.S. gasoline prices. Oil imports from Venezuela have been dropping precipitously in recent years, making the U.S. market significantly less dependent on a steady supply from Venezuela to keep gasoline prices low. Experts note that this decrease was in large part due to a reduction of oil outputs in Venezuela and to the mismanagement of the state oil and natural gas company PDVSA. Jason Marczak, Director of the Adrienne Arsht Latin America Center at the Washington D.C.-based Atlantic Council, says that U.S. imports of crude oil and petroleum collapsed between 2016 and 2017, dropping from around 24 billion barrels to 16.6 billion. “The potential of a tightening of the screws on the Venezuelan oil industry has long been in the cards. Buyers began looking for another supplier, and that is partly why there’s been this decrease,” Marczak told Newsweek. “Their output has also decreased significantly. Oil output has fallen in July 2018 to the level of the late 1940s, it was 1.2 million barrels per day. I think there is likely to be an impact on prices in the U.S., but probably not nearly at the scale it would have been if this had happened five years ago," Marczak noted. Venezuela has some of the biggest petroleum reserves in the world and PDVSA was once a vast source of wealth for the country. But corruption and a decrease in investment starting in the early 2000s has left the company struggling to stay afloat. “They also owe oil to the Chinese as payment for money they borrowed from China and they have oil shipment to Russia,” Marczak noted. Around 41 percent of Venezuela's oil exports go to the U.S.